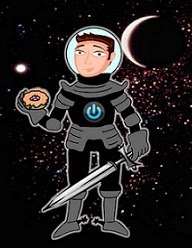 David Powers King: Reveals: Eleanor/Citadels of Fire, and New Members! Reveals: Eleanor/Citadels of Fire, and New Members! Sit back and be excited for two new book cover reveals, both from the local pond of Jolly Fish Press, the first of which is the up and coming YA paranormal, Eleanor, by Johnny Worthen. "Eleanor is a modest girl, unremarkable but extraordinary, young but old, malleable but fixed. She is scared and confused. She is a liar and a thief. Eleanor is not what she appears to be." I love a good character that's shrouded in mystery, and that foreboding atmosphere is really calling to me. When it comes out in Spring of 2014, I'll have to check it out. Congratulations on your excellent cover, Johnny! Up next is Citadels of Fire, the first book in the Kremlins series, also set to release this Spring, 2014! (Read the full synopsis here). Congrats, L.K. Hill! The cover is stunning, and it's sure to turn up the heat on any shelf it's sitting on! I would also like to give a special salute to all our veterans this day! We at The Laire greatly appreciate your service and sacrifice! 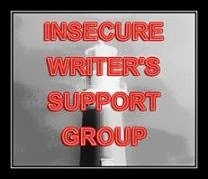 *edit* I have just learned the sad news from the Nick Wilford family, who organized the Overcoming Adversity anthology earlier this year, which I and many bloggers participated in. Their son Andrew passed away over the weekend. The blogging community is now banding together for donations, which can be sent to Kyra Lennon's (Nick's critique partner's) Paypal at kyralennon[at]gmail[dot]com. Update: after some editing, I ended up cutting 5K from The Undead Road, but thanks to NaNoing, I wrote another 5K last week to make up for it! There's also some exciting things happening deep within The Cosmic Laire hull, and it's only a matter of time before I can say what that is, exactly. Until then, I have more in store for the blog this week, so you'll want to check back and see what's going on! What do you think of Johnny and L.K. 's covers? What have you been up to this weekend? What about NaNo? Is it treating you well? Citadels is a cool cover. Eager for your good news. After everything that's happened the past few months, I'm sure you are as well. Love BOTH covers. Elanor looks haunting, and Citadels - I'm a big fan of historical fiction. Love and respect to ALL Veterans! Congrats to the authors on their great covers! 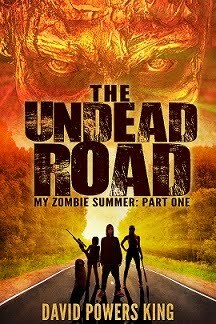 Good luck with "The Undead Road" and I'm shocked and saddened to hear about Andrew's son. So terrible. I think both covers are great...Eleanor looks just like she's described, and Citadels is gorgeous, almost glowing. Oooh, those are gorgeous! Especially the Eleanor one, I'm so intrigued! 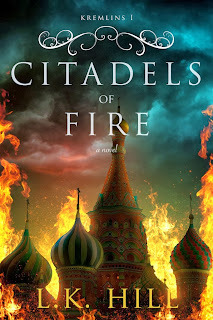 Love the covers- especially Citadels of Fire! Both sound great! I love the covers, especially the one for Eleanor. Some great cover reveals, congratulations to the authors! Deeply sorry to hear about Andrew. Citadels of Fire is stunning. Both covers look great! There is something about Eleanor that really caught my eye. Very cool. Sorry to be repetitive but those covers are both stunning. I haven't been blogging much lately so I've just been hearing about Andrew today. I'm stunned, and my heart goes out to them. 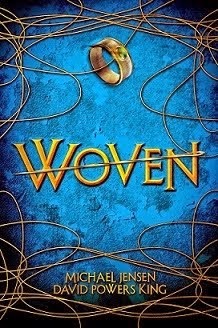 The covers are gorgeous, and the books sound great! So sorry to hear about the death of Nick's son. 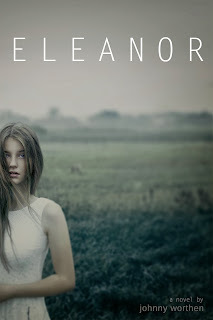 Eleanor has such a beautiful, haunting cover. Love it. Hugs and prayers for Nick.